IS YOUR TEEN EXPERIMENTING WITH DRUGS OR ALCOHOL? 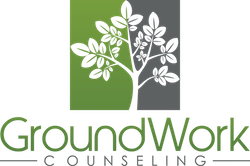 Orlando teen counselors at GroundWork Counseling often learn that their teenage clients are using or experimenting drugs and alcohol. This can particularly distressing situation because the interpersonal, cognitive, social and developmental effects of drug use on adolescents can be profound; the younger the teen begins to use substances, the greater the negative effects. Illicit substance use, including under-age alcohol and nicotine consumption, has been found to cause irreparable damage to the brain’s cortical functioning because continued drug use activates the reward circuit of the brain and permanently damages the stop switch of the teenager’s developing brain. Studies have found that drinking and using drugs during the teen years may become an unhealthy coping mechanism, leading to a lifetime of addiction. Teen counselors at GroundWork Counseling in Orlando agree with research that states that early drug use has been found to be the single best indicator of future substance abuse. GroundWork’s Orlando teen counselors also state that drug and alcohol use has been found to be predictive of risky behaviors, including unsafe sexual practices, driving under the influence, and drug-related accidents, as well as violence and suicide. Statics reveal that nearly 80% of teenagers in the justice system were under the influence of a substance when they committed the crime. Additionally, teens who use substances have been found to be at higher risk for mental health problems such as depression, anxiety and conduct disorders, as well as immature emotional responses and delays in the development of executive functions. Counseling for teenagers who are experimenting with drugs and alcohol is imperative as family relationships and school performance are also greatly affected. Early therapy for teens is a preventive measure that may prevent possible substance abuse issues later in the teen’s life. While experimenting with drugs, alcohol, and cigarettes during the teen years is common, teen counseling during this turbulent time can provide support and guidance for teenagers and help them to realize that risky behaviors today can lead to grave consequences tomorrow, and help teens learn healthier coping skills. ←Cognitive Behavioral Therapy & The Treatment of Anxiety Disorders – How Can Orlando Anxiety Counseling Help?